Gregory Gause has initiated excellent steps in this direction in a recent article in Foreign Affairs. You can find it here. 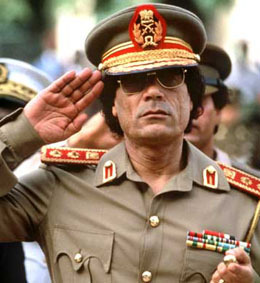 Gause takes up the task of explaining the “myth of authoritarian stability.” The “Arab world” as he terms it sports a long list of authoritarian leaders – Qaddafi in Libya, the Assad family in Syria, Mubarak in Egypt, the al Saud family in Saudi Arabia, Ben Ali in Tunisia and others. And even though there are complex differences amongst these cases there seems to be, according to Gause, two issues that align themselves in such a way as to predict either the likelihood of authoritarian stability or democratic liberalization. First, you’ll rarely find, if ever, an explanation that accounts for Arab regime stability in terms of culture. Most attribute stability to the relationship between the state and the military. Still, the assumption that there is no daylight between the military and rulers is not necessarily correct. There are cases where the military was protective of protesters and this was true of Egypt in particular. When societies are homogeneous and the military is not subduing an ethnoreligious minority they are more sympathetic to types of resistance. When the military is professionalized and mature they tend to be less implicated in automatic obedience to the regime. Gause offers a second assumption about authoritarian stability which is the state control of the economy. Oil wealth, for example, built systems of patronage and provided social services that appeased the population. Salaries, subsidies, state created jobs, and various other social welfare programs are assumed to maintain authoritarian positions. But it turns out that attempts to modernize the economy have been more successful at enriching a few and creating opportunities and privileges for the upper classes composed mostly of the super wealthy and ruling families. Some authoritarian regimes are then quick to provide salary increases and other benefits for citizens, but have often been surprised at the extent to which groups are politicized and willing to foment rebellion. Turns out, as Gause concludes, that authoritarian regimes are not so stable after all and many have underestimated the pressures for change lurking beneath the surface. These conditions make it tempting to interfere and try to manipulate the dynamics of change in authoritarian societies. But it’s important to remember that most basic dynamics are indigenous and outside states should tread cautiously. Posted on April 18, 2016, in Democracy and tagged Authoritarian States, democracy. Bookmark the permalink. Comments Off on Authoritarian States Are Not so Stable.